With one line from the first trailer for Rogue One, Jyn Erso established herself as something quite a bit different from the movie heroes we’d seen before. She was less noble freedom fighter and more scrappy loose cannon. But despite the immediately iconic nature of this line, it didn’t make an appearance in the final film. Nor, for that matter, did most of what we saw of Jyn’s personality. Rather than the antihero we expected, whose fiery bluster covers up a near lifetime of pain and anger, we got someone a little bit softer around the edges, whose main trait seems to be indifference. Rebel Rising, by Beth Revis, fortunately stepped in to give us the hard-edged antihero promised by the movie trailers. Not only did it build off the movie (and excellent novelization by Alexander Freed) to develop Jyn, but it gave her a harder, scrappier edge than any protagonist we’d yet seen in a Star Wars film. And more importantly, it made Jyn a far more morally ambiguous (and occasionally, straight up awful) person. Reportedly, part of the reason for the infamous reshoots on the film was to make Jyn less abrasive and more empathetic. Many of the scenes from the trailers hint at this; from General Draven’s laundry list of her crimes, to her mocking “yes sir” and, of course, her defiant “I rebel.” And that early version of Jyn still survives in the novelization, giving us a glimpse of what could have been. Her early scenes on Yavin and with Cassian show a woman who openly mocks authority, is ready to physically fight perceived threats at a moment’s notice, and whose biggest goal is just to do the job with as little fuss as possible so that she can be left alone. 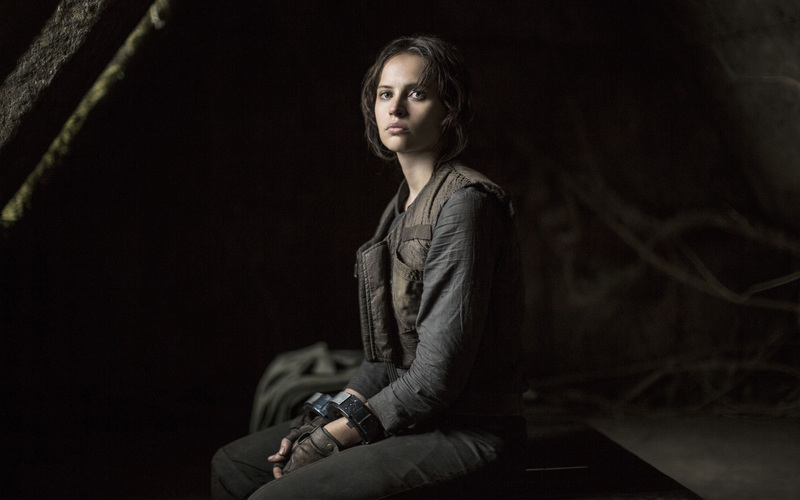 We see the morally gray figure Jyn was originally conceived as. However the final cut of the film showed a Jyn with a much less fiery personality. Instead of being hostile and antagonistic and actively insulting Cassian and the others, she comes across as more aimlessly indifferent to the struggle at large. In other words, her fierceness was cut to make her more likable. But why should she have to be likable? With one phrase, Luke Skywalker has thrown all of pop culture into a frenzy as we finally got our first look at The Last Jedi. As always, speculation runs rampant on both the movie title, the mic-dropping trailer line, and how the two are related. Why does Luke want to end the Jedi? Does that make him the eponymous last one? Is he headed towards the dark side too? And also: If he’s not a Jedi, then what is he? In the wake of all this theorizing, the concept of “Grey Jedi” has reappeared. It’s a character type that has been around for at least a couple decades: some fans consider Qui-Gon Jinn one. Now many in the fandom are wondering if Luke is headed down that path as well, away from the Jedi and towards something new that is neither Jedi nor Sith. Luke may certainly be a new type of Jedi, but it’s unlikely he’ll be a grey one. For one, Luke isn’t the type to willingly embrace the dark side. However, more importantly, the concept of Grey Jedi is one that is completely at odds with what we’ve seen of the Force. Star Wars Rebels has just wrapped up its third season with the biggest Empire-versus-Rebellion showdown we’ve yet scene from the show. 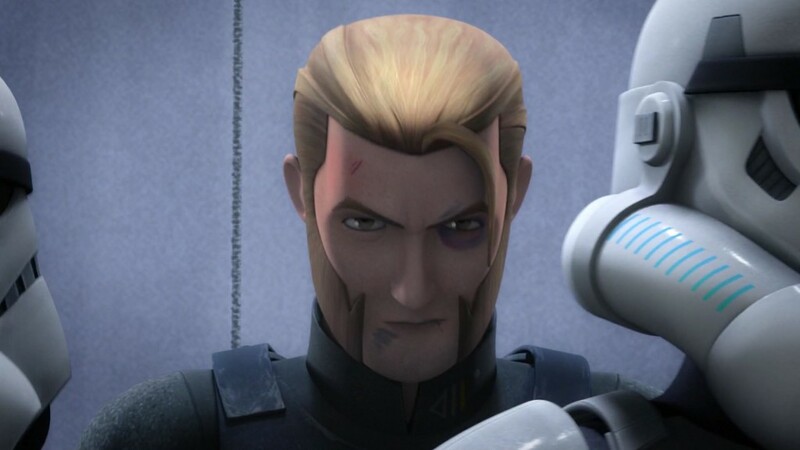 Prior to the episode, speculation swirled around the promised battle, with many wondering just exactly how the rebels we know and love are going to make it out of this one. And, inevitably and tiresomely, spirited discussion sprang up around which Ghost character would die in the ensuing conflict. It’s not the first time there has been speculation around a major character dying in the show. Like clockwork, the closer we get to a season finale, the more discussion there is about why someone on the Ghost needs to bite it. Rex and/or Zeb needs to go out in a blaze of glory. Kanan needs to die for pathos and so the fandom can make tragic fics about Hera. Ezra needs to die because of a thousand and one reasons (the main one being that the majority of the older fanbase finds him irredeemably annoying). They all have to die because we don’t see or hear anything about them in the original trilogy. Inevitably, it all comes down to fans wanting to see that things are different, that the rebels have finally faced a serious threat and come up short and now have to find a way to overcome. And yes, that’s certainly a good (and necessary) narrative to explore. After all, it’s not exciting if your heroes never face any serious challenges or defeats. But why is it that we automatically go to “major character death” as the best way to show the severity of a threat or to shake up the status quo? 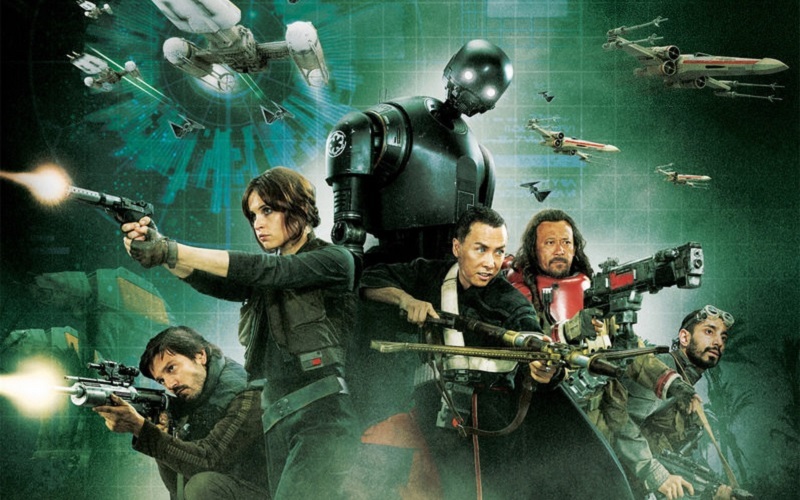 About one and a half years ago, we got the first cast picture for Rogue One, and the general consensus (myself included) was celebration of the ethnic diversity, followed almost immediately by dismay at the heavily male cast. But after the first trailer surprised us all with the appearance of Mon Mothma I was hopeful for Rogue One and optimistic that there would be more women. Unfortunately, my fears were proven right when I finally sat down in the theater to watch the movie and it turned out to be a pretty big sausage fest. An ethnically diverse (and quite attractive) sausage fest, yes, but still a sausage fest. It’s disappointing because I had high hopes for a movie whose cast represented a range of countries and ethnicities. I was hoping it would continue in the thread of The Force Awakens and make a concerted effort to show a wide range of women as well; I’ve written before on the lack of women of color in Star Wars and I was hoping Rogue One would prove me wrong. But it goes to show that allyship in one area doesn’t always translate to allyship in another. We should definitely celebrate when Star Wars does well. But we should also accept that it will make mistakes…and as fans we should hold it accountable when it does. It’s hard to admit when things we love aren’t as perfect as we’d like them to be. I’ve found this to be especially with something like Star Wars, where people tend to structure their entire identity around the fandom. So I understand wanting to rationalize away the flaws rather than admit that our favored franchise didn’t put its best foot forward. And there’s been a rash of rationalizations as of late: Leia’s slave bikini is empowering because she uses it to kill Jabba. 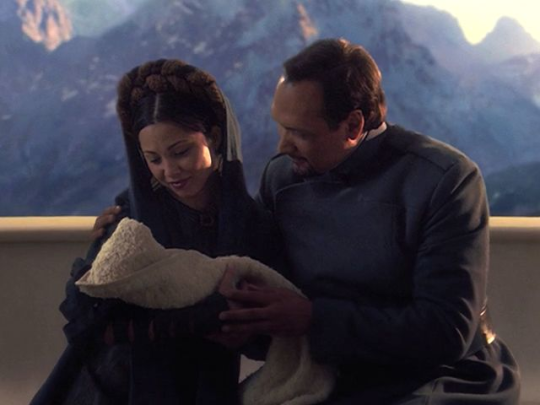 Padmé didn’t die of a broken heart, Palpatine actually drained her life essence to save Anakin. Rogue One doesn’t show a lot of women in the Rebellion because they were trying to be faithful to how it looked in A New Hope. » Read more..